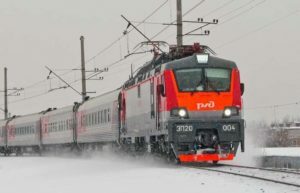 In 2018, Russian Railways assigned RUR 12.9 bln ($0.2 bln) to upgrade the fleet of track equipment under its corporate investment program, company’s PR service reports. A total of 572 units of track equipment were purchased for the maintenance and repair of railway infrastructure, including four stone-cleaning machines, 49 motor-rail vehicles, nine snow-removal units and 84 heavy-duty track repair units such as track-laying cranes, track alignment machines, motorized and mechanized platforms and rail-welding machines. Besides, 397 units of special freight wagons and passenger carriages were purchased. In 2018, the company also spent over RUR 2.2 bln on overhauling track equipment, repairing a total 359 units.